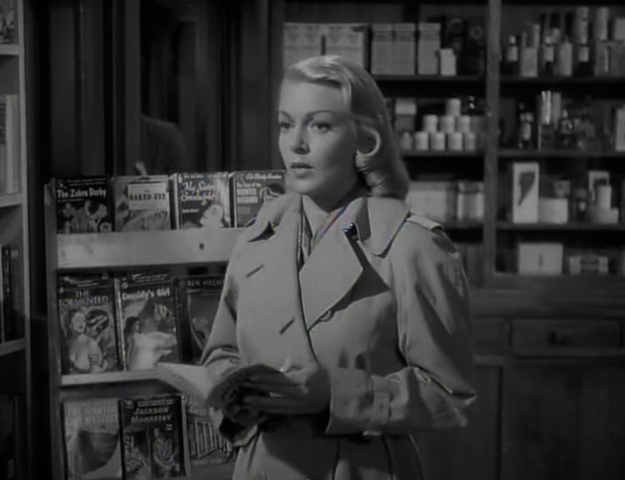 Lana Turner in THE BAD AND THE BEAUTIFUL with David Goodis's CASSIDY'S GIRL making a cameo in the book rack! The Bad and the Beautiful (1952) is director Vincente Minnelli's (and producer John Houseman's) quintessential movie about Hollywood and moviemaking. MGM's popular hit, with David Raskin's soundtrack and Robert Surtees' great B/W cinematography, was an entertaining, noirish melodrama. It tells the steamy story of the ruthless eighteen-year rise and fall of a tyrannical, manipulative Hollywood movie tycoon - told in flashback and from multiple perspectives (from the point of view of a director, actress, and Pulitzer Prize-winning writer). It was one of the first in a long succession of films (some cynical and critical) that satirized, skewered or examined the makings of films in the tawdry 'Hollywood' dream factory, including Show People (1928), A Star is Born (1937), Preston Sturges' Sullivan's Travels (1941), Billy Wilder's Sunset Boulevard (1950), the same year's and studio's Singin' in the Rain (1952), A Star is Born (1954), Joseph L. Mankiewicz' The Barefoot Contessa (1954), Robert Aldrich's The Big Knife (1955), The Goddess (1958), Minnelli's Two Weeks in Another Town (1962), The Oscar (1966), Truffaut's Day for Night (1973), John Schlesinger's The Day of the Locust (1975), The Last Tycoon (1976), The French Lieutenant's Woman (1981), Robert Altman's The Player (1992), and many more. 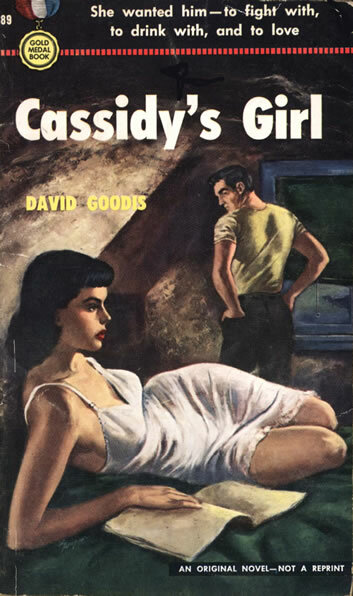 Trailers, however, described this picture as "not the Hollywood of yesterday, but Today's Hollywood, showing the working of both a great motion picture Studio and behind-the-scenes of what makes Hollywood tick."